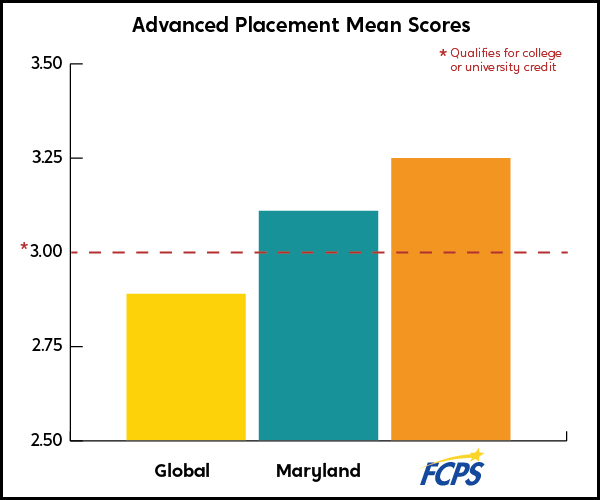 FCPS continues to achieve impressive results on Advanced Placement (AP) scores even as our AP participation increases. The number of AP exams our students completed rose from 4,522 in 2017 to 4,806 last year. Achieving a minimum score of 3 on the 5-point scale qualifies students to receive credit at many colleges and universities. While the global AP mean score was 2.89, with 61.3% of test takers scoring 3 or above, Maryland's mean score was 3.11 with 67.5% scoring 3 or above, and Frederick's was 3.25 with 73.3% scoring 3 or above. Additionally, our students completed 1,531 college-level dual-enrollment courses, up from 1,335 in 2017. With the combination of AP and dual-enrollment participation, FCPS has exceeded our highest participation levels in advanced coursework, reported in 2013. Brunswick ES 5th grade teacher Todd Raynor is commended in letters from parents and staff alike. 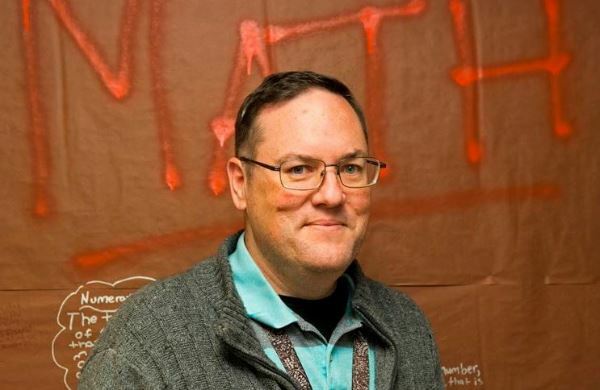 "Whenever you walk into his classroom the level of enthusiasm for learning is off the chart," says the colleague who nominated Mr. Raynor for the All-Star Award. "His humor and ability to relate to his students creates a classroom culture that is welcoming but also encourages students to do their best. He promotes risk taking and a growth mindset for all learners. Working with teachers like Mr. Raynor pushes me to be my very best as an educator," the colleague adds. Principal Justin McConnaughey appreciates Mr. Raynor's daily dedication and commitment to supporting students through meaningful relationships and high quality instruction. Congratulations to employees earning FCPS All-Star Awards since our December newsletter: Maura Bizzozero, Marybeth Fossett, Wendy Hastie, Kelli Hebron, Amy Jandovitz, Kimberly Martin, Virginia Rowley and Lisa Tucker. BEST IN STATE Urbana HS is one of only six 2018-2019 Maryland Blue Ribbon Schools, and it's the only high school achieving the accolade statewide! 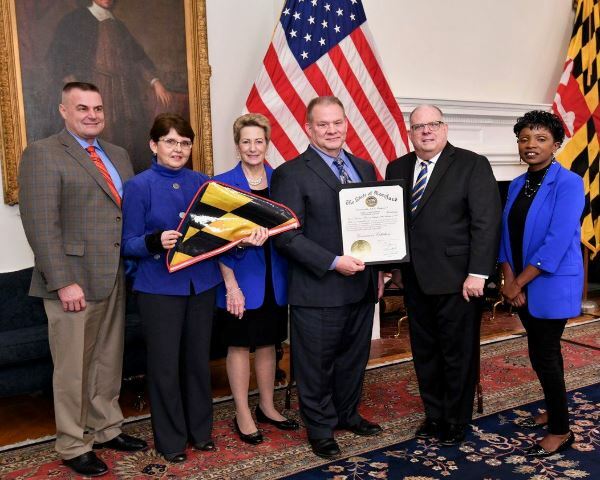 In Annapolis December 18 to receive the Governor's citation (left to right in the photo): BOE President Brad Young, FCPS Superintendent Dr. Terry Alban, State Superintendent Dr. Karen Salmon, Urbana HS Principal Dave Kehne, Governor Larry Hogan and State BOE Vice President Stephanie Iszard. Twelve Frederick County public schools have received national Blue Ribbon School awards: Urbana ES—2018, Centerville ES—2017, Kemptown ES—2015, New Market ES—2010, Windsor Knolls MS—2002, Middletown MS—1998, Yellow Springs ES—1994, Frederick HS and Linganore HS—1993, Gov. Thomas Johnson HS—1991, Middletown ES—1990 and Middletown HS—1987. Urbana HS is in the running for national Blue Ribbon School recognition. Nearly ­­­1,785 students attend the school, which has about 150 staff members. See the full news release. $CHOOL $$$ Principal Shirley Olsen wrote a successful Lowe's Toolbox for Education grant proposal, bringing $3,815 to Orchard Grove ES for an innovative school gardening project. In addition, Windsor Knolls MS advanced academics specialist Lori Saylor secured a $3,000 grant to resurface the middle school's tennis courts. NEW FACES IN KEY PLACES FCPS welcomes new BOE member Dr. Lois Jarman, whom the County Executive and Council recently appointed to fill the vacancy created following Dr. Ken Kerr's election to Delegate (3B) for the Maryland General Assembly. See the news release. $$$ See the Superintendent's Recommended FY2020 Budget for the 2019-2020 school year as well as the related video, news release and timeline. Save the date to share your budget priorities Wednesday, February 6 at the BOE public hearing, 7 PM in the Board Room and/or send comments to fcps.budget@fcps.org. 2019-2020 CALENDAR The BOE has determined part of the FCPS 2019-2020 academic calendar. The 2019 start date for students will be Tuesday, September 3. The students' Winter Break is set for Monday, December 23, 2019 through Wednesday, January 1, 2020, and Spring Break for next year is Thursday, April 9, 2020 through Monday, April 13, 2020. The last school day for students could be as early as Wednesday, June 10 if no makeup days are needed and as late as Monday, June 22, 2020 if 8 days are needed to make up for inclement weather closings and there are no state waivers. The BOE is still determining how to schedule parent-teacher conferences. 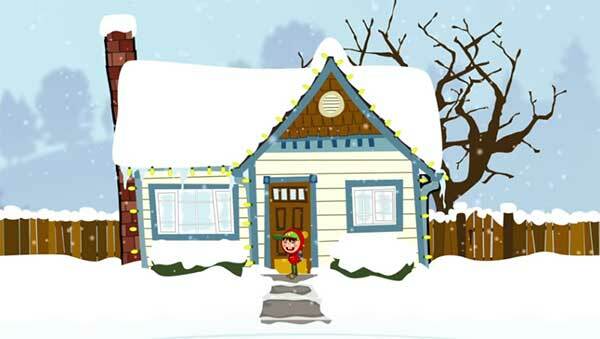 When the calendar is finalized, we will publish staff dates. ELITE Staff aspiring to be assistant principals through FCPS-specific, practical training are invited to learn about the ELITE Academy on Thursday, January 31, 4:30 PM in the Staff Development Center. WHEN IT SNOWS Here's how to check FCPS work status on inclement-weather days and what it means when the liberal leave policy is in effect. SMOB Thursday, January 31 at 5 PM is the deadline for students in grades 6-12 to vote for the next Student Member of the Board of Education. To access the ballot, they must be logged in to their FCPS student accounts through Google Chrome: https://tinyurl.com/fcps2019smob. Voting begins Thursday, January 17 at 5 PM. WATER SAMPLES FCPS continues to post results of tests for lead in school drinking water, adding schools as we receive reports of their results. Please check the page until you see your school's report.